These pop-up bubblers are easy to use. 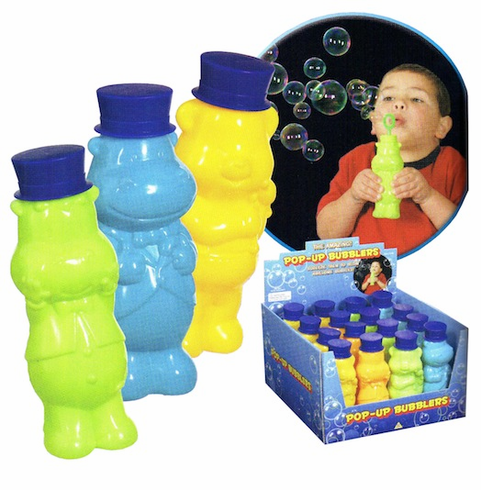 Simply squeeze and blow for lots of bubbles. Each container comes with 8 ounces of bubbles. Four assorted colors and characters.